We’re different from traditional home care agencies, not only because we focus exclusively on people with dementia, but because we’re passionate about helping them thrive. To us, care means more than being fed and clean, it means being engaged and happy. Our approach focuses on the person behind the disease, engaging them in fulfilling, meaningful activities while avoiding anger and anxiety triggers. We train our Memory Care Professionals (MCPs) in dementia care best practices and keep them up to date on new methods and advances. 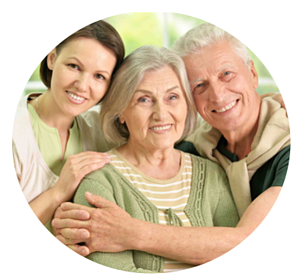 We use proven techniques to engage our clients in individualized, activity-based care at home—care that unlocks their interests, rekindles their joy and improves their quality of life. We can also seamlessly take on grocery shopping, home repairs, and other logistics, so you get to determine how involved you’d like to be in your loved one’s care and where we can alleviate the burden of household management and maintenance. Don’t let another day pass without scheduling your free consultation with Tender Rose. We’ll explain our one-on-one approach, and how we can reconnect you with the person you love. Your loved one deserves the best care. Contact us today.